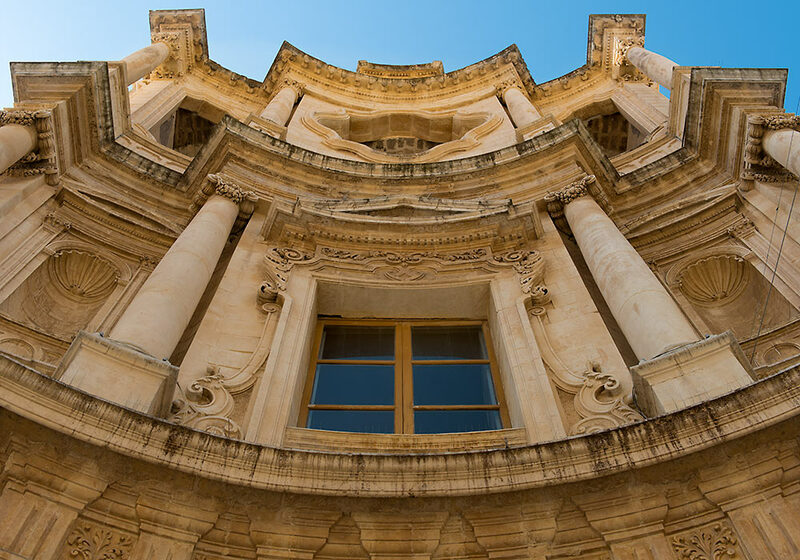 Together with seven other cities in the Val di Noto, the baroque city Noto is listed among the UNESCO World Heritage Sites. 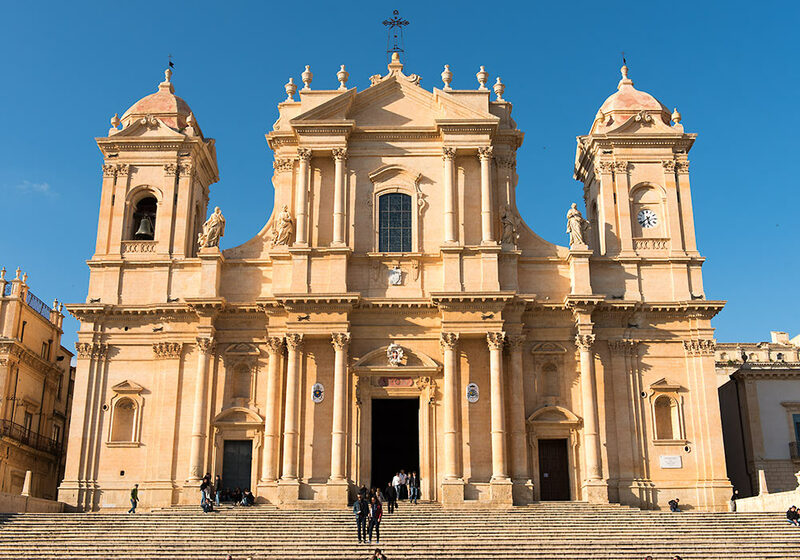 Noto was completely built from scratch on a new location after the terrible earthquake in 1693 that destroyed numerous towns and killed more than 60,000 people i Southern Sicily and Italy. 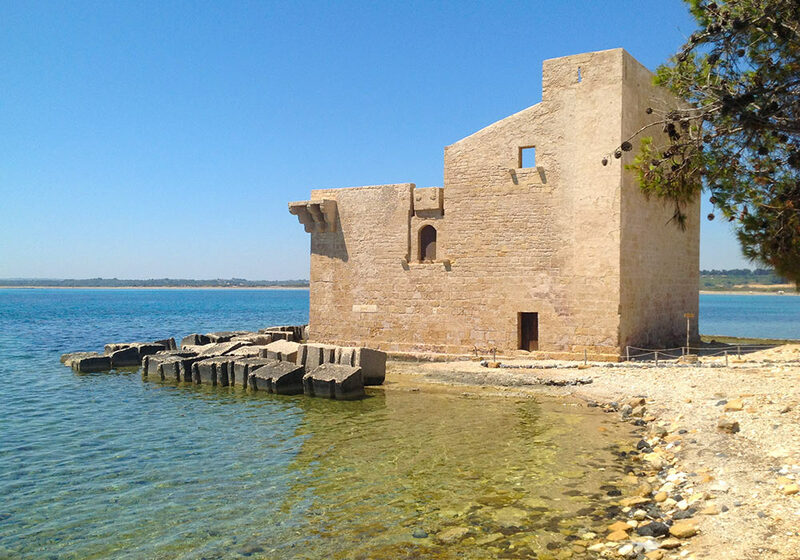 Only the scant ruins is left of the old town, now called Noto Antica, some 9 kilometres north of the present baroque town. 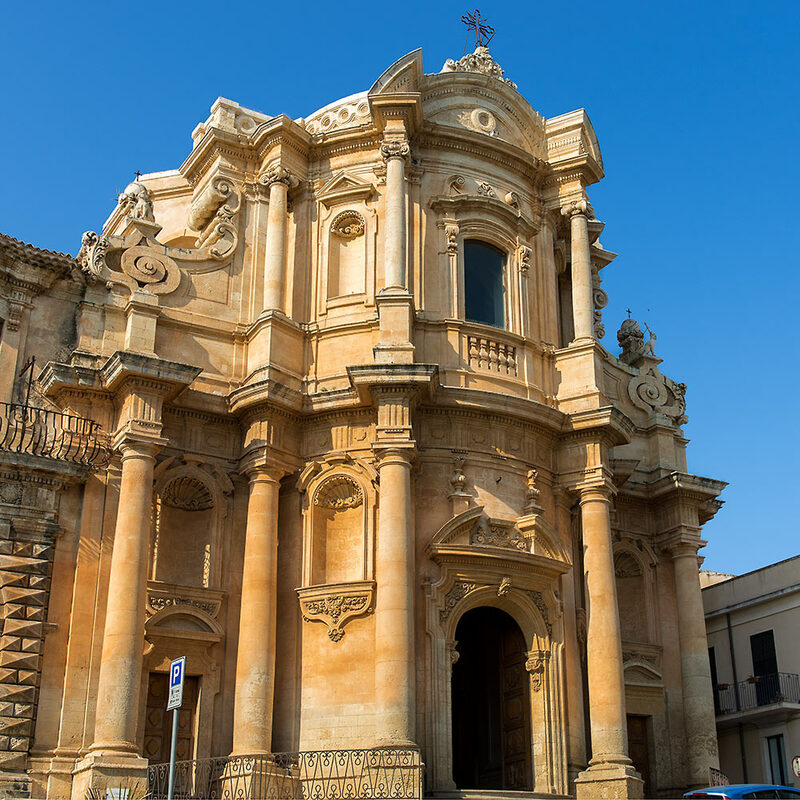 Argueably the most beautiful town in Sicily, Noto is a breathtaking example of the Sicilian baroque. 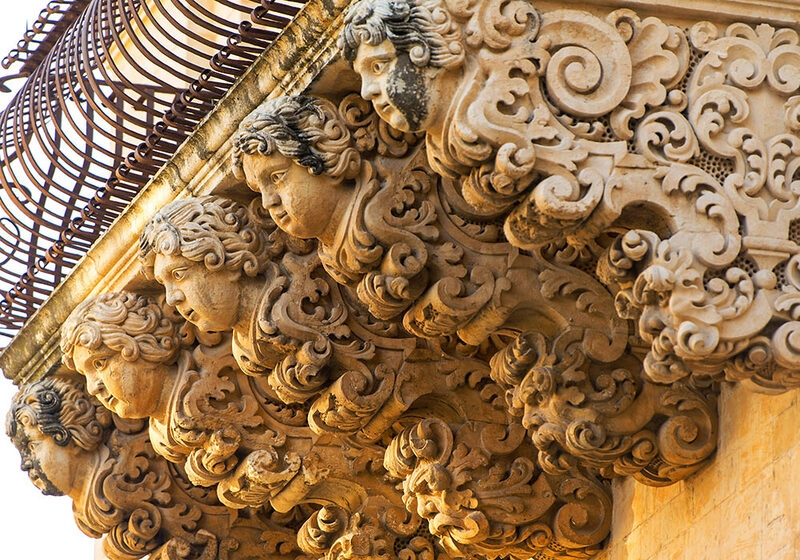 Churches, incredibly elaborate balconies and beautiful early 18th century buildings - all shining in golden sandstone. 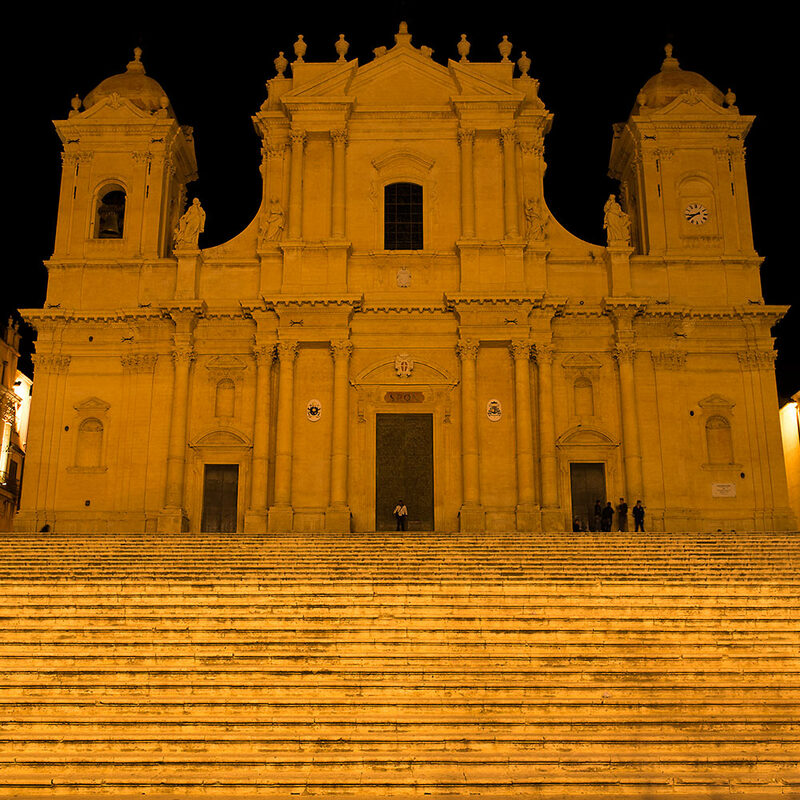 Noto was the location of several scenes in Antonioni's cinematic masterpiece L'avventura. 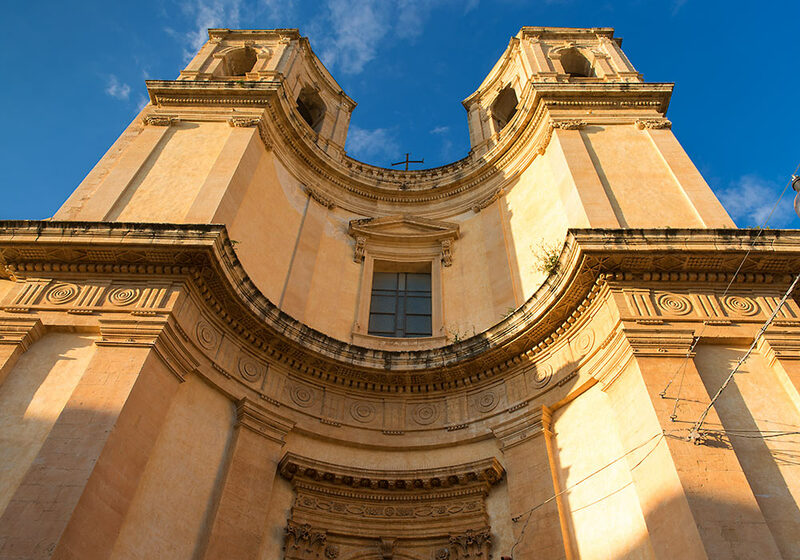 The church of San Domenico from another angle. 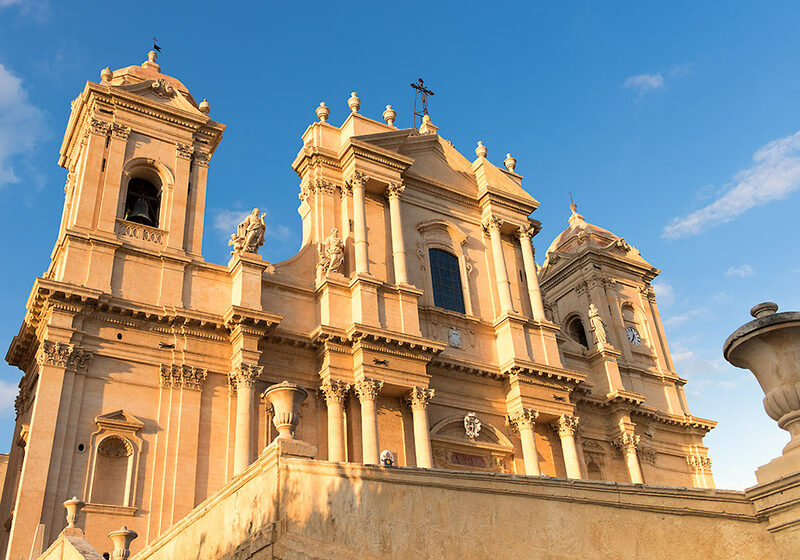 Noto cathedral in the evening sun. 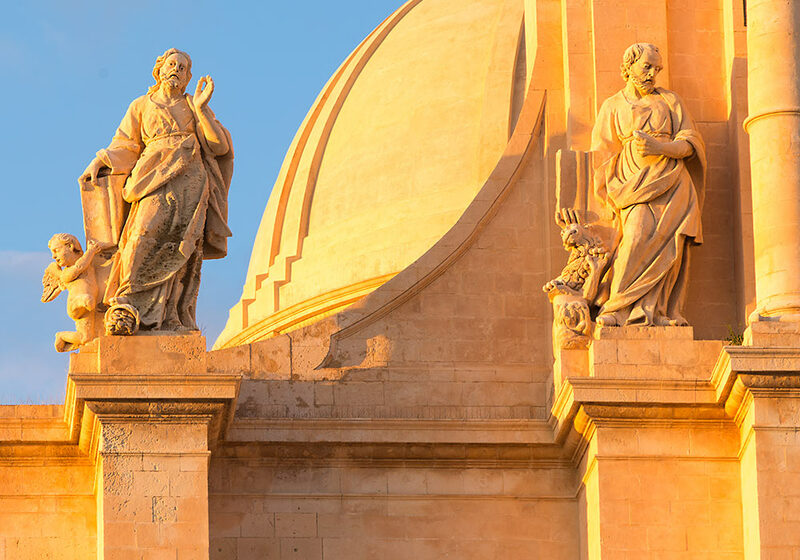 The cathedral (detail) bathing in the evening sun. 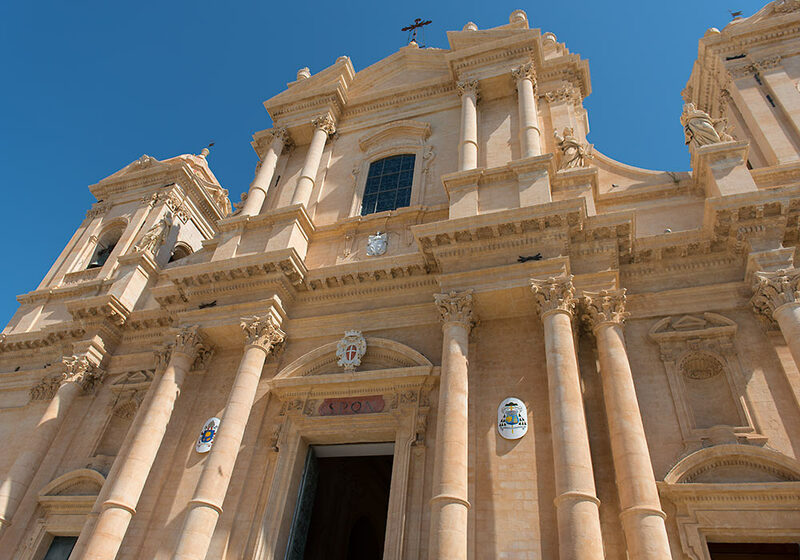 The cathedral in Noto. Architects: Rosario Gagliardi and Vincenzo Sinatra. 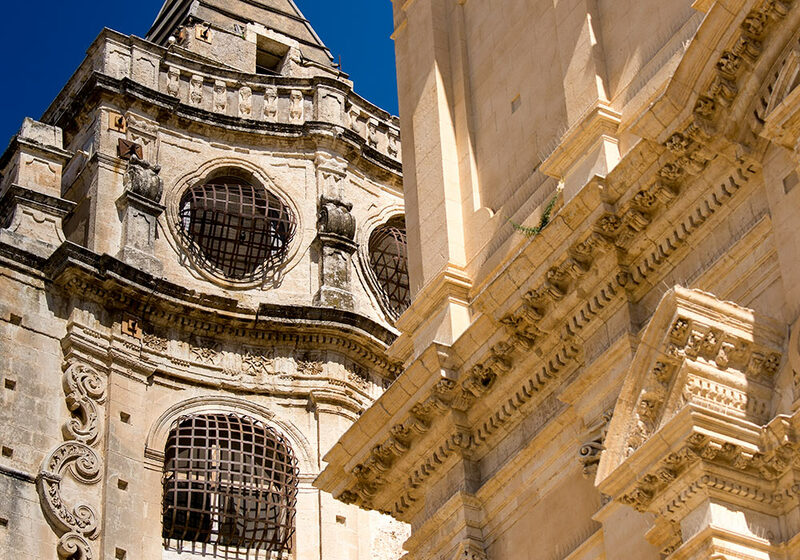 The undulating facade of the tower of the monastery of the Santissimo Salvatore. The number of details on the buildings is just amazing. The eye never rests. 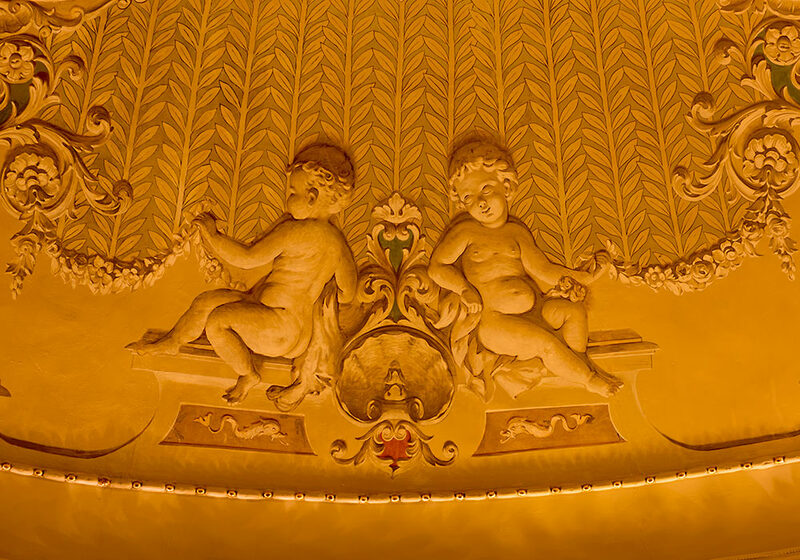 The ceiling in the Hall of mirrors (Sala degli Specchi) in Palazzo Ducezio (by Vincenzi Sinatra, 1746), now the town hall, is covered with marvellous examples of so-called trompe l'oeil (a style of painting in which things are painted in a way that makes them look like real, three dimensional, objects). Another example of trompe l'oeil in the Hall of mirrors (Sala degli Specchi) in Palazzo Ducezio. Little boy with big job to do. 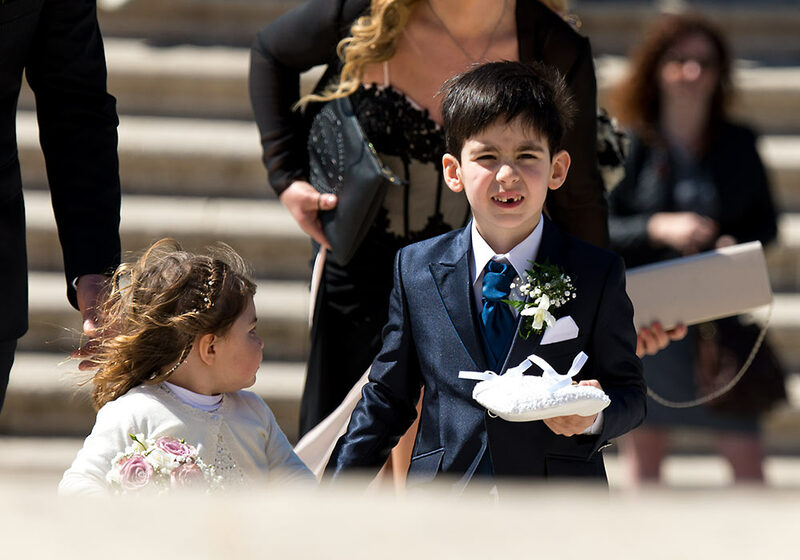 Going up the impressive stairs of the cathedral in Noto before the wedding (Saturday, 11 April 2015) with the wedding rings. 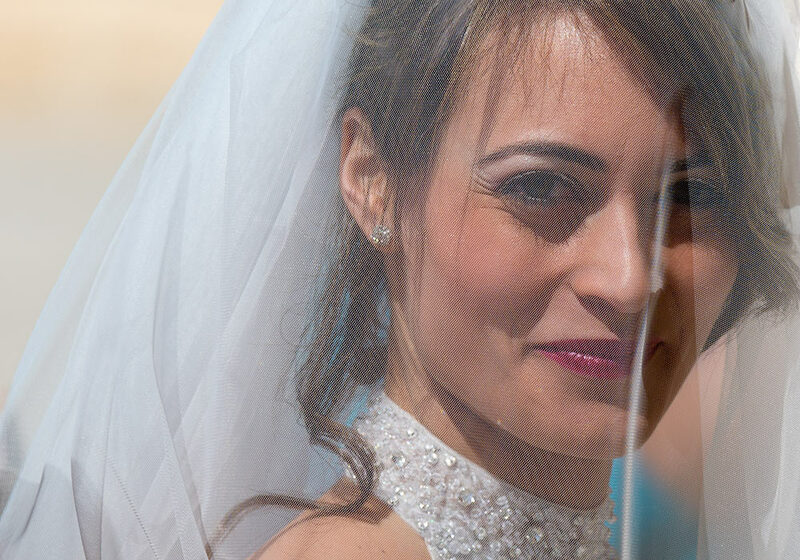 Here comes the bride: The beautiful bride in Noto 11 April 2015 is waiting to enter the baroque cathedral with her father. Here comes the bride with her father. 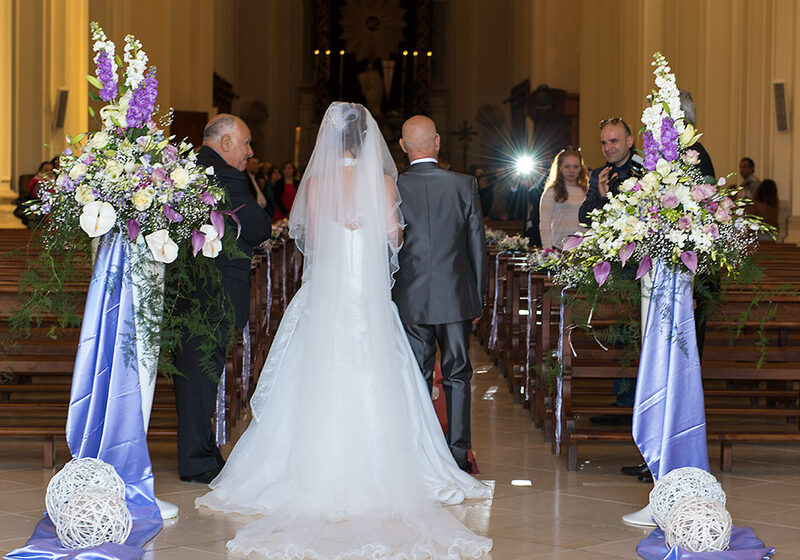 See more photos of weddings in Sicily here! 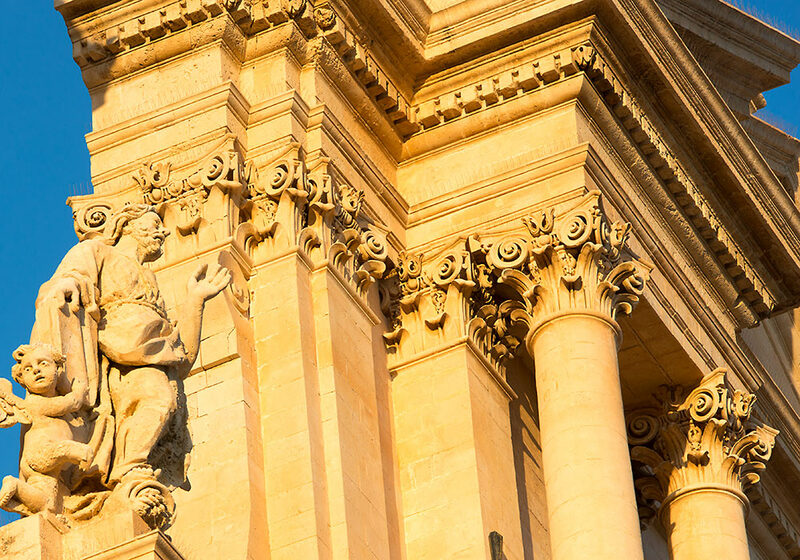 Detail of the cathedral in Noto. 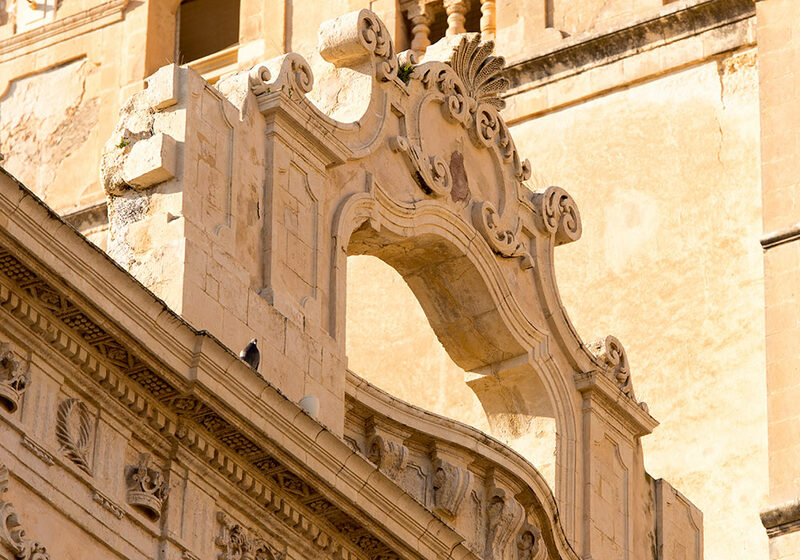 Detail of the Noto cathedral facade. 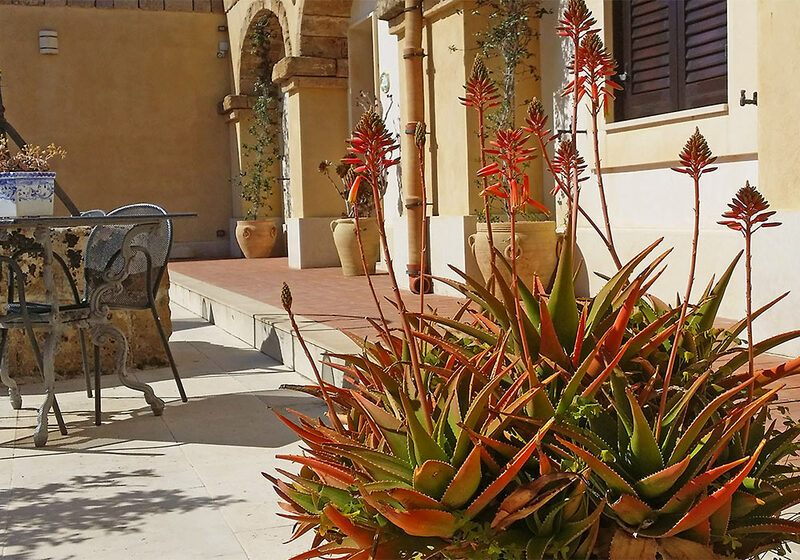 Aloe plant in the beautiful courtyard at the Hotel La Corte del Sole, Noto. The deconsecrated church of Montevergine (Chiesa di Montevergine) with a facade attributed to Vincenzo Sinatra. This church stands at the top of the street Via Corrade Nicolaci. The great historian of the Sicilian Baroque Anthony Blunt notes that the curve of the facade «embraces the twin towers as well as the central bay, an arrangement which is also to be found in Fischer von Erlach's Dreifaltigkeitskirche» [The Holy Trinity Church] in Salzburg, Austria, «which the Sicilian architect may have known from an engraving». Chiesa di S. Carlo (Chiesa del Collegio). 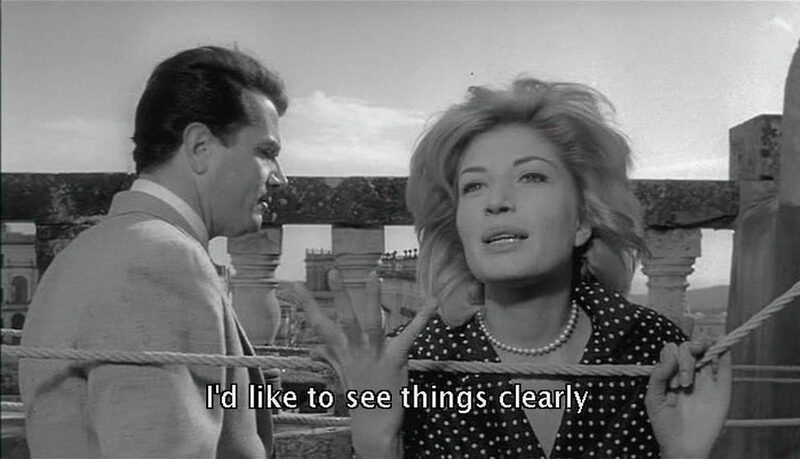 One scene in Antonioni's L'avventura takes place on the terrace of the church San Carlo's bell-tower (Chiesa del Collegio). Almost the whole movie is filmed in Sicily. 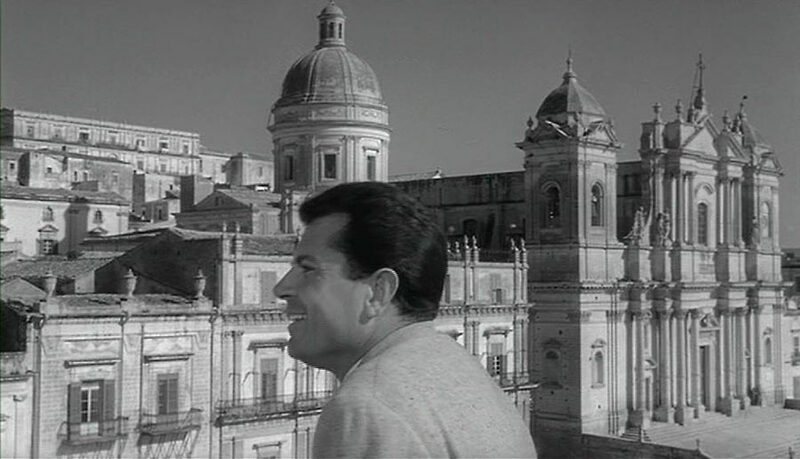 Gabriele Ferzetti in Antonioni's L'avventura, a film that for the most part takes place in Sicily (Aeolian islands, Milazzo, Villa Palagonia in Bagheria, Noto, Taormina). 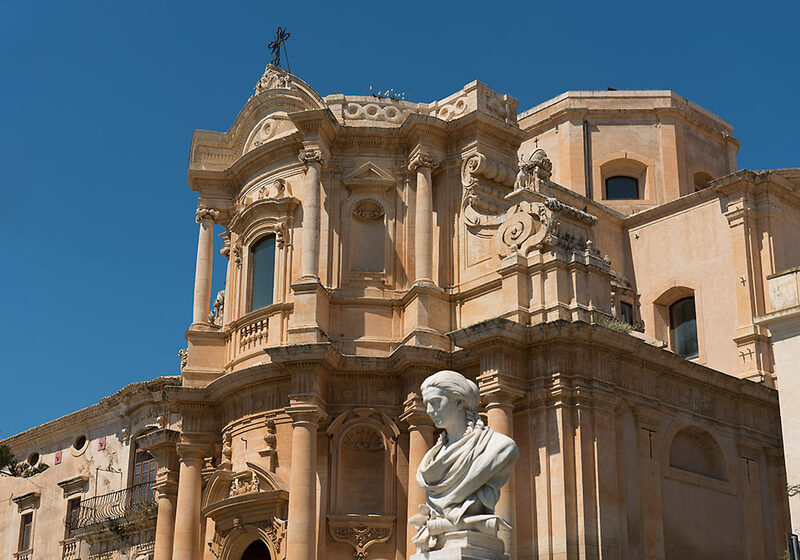 In the background: Noto cathedral. 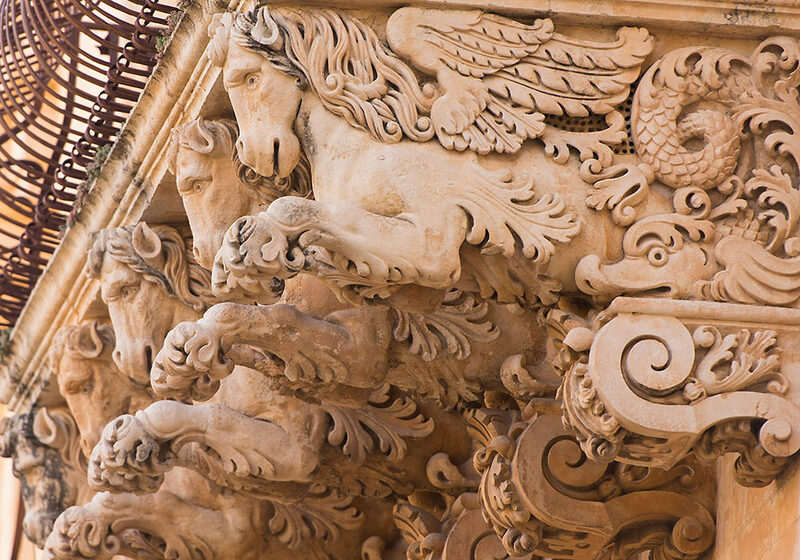 The Porta Reale marks the entrance to Noto and leads directly into the main street, Corso Vittorio Emanuele. 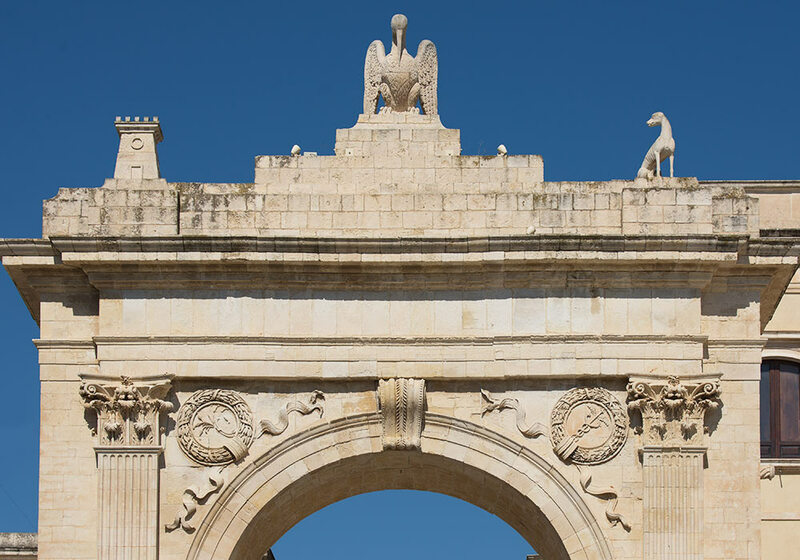 The commemorative arch was erected for the visit of Ferdinand II of Bourbon in 1838. 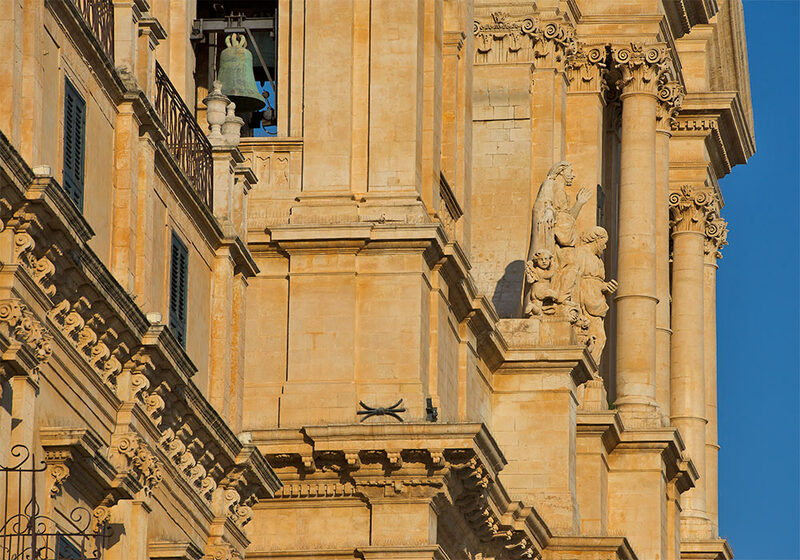 On the top you see the three symbols of the people of Noto, a tower for strength, dog for loyalty, and pelican for self-sacrifice, according to Blue Guide Sicily. 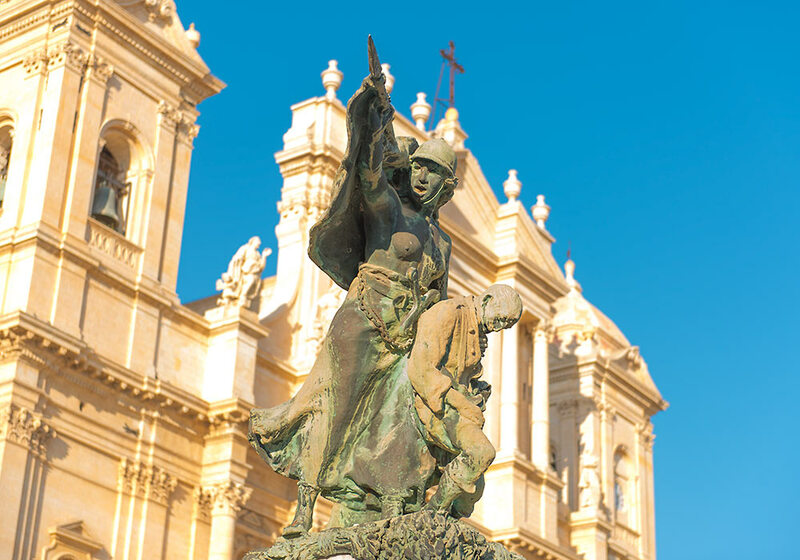 WWI Memorial in front of the cathedral in Noto. 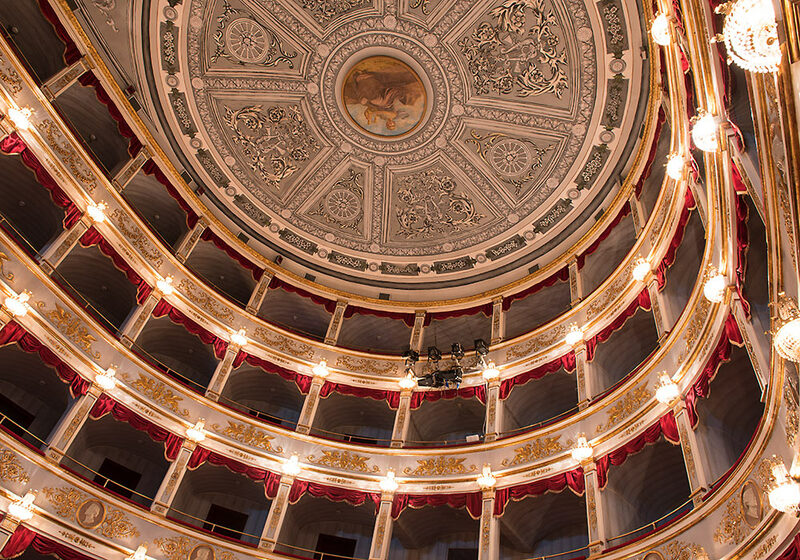 On Piazza XVI Maggio (aka Piazza San Domenico), opposite the church of San Domenico, you'll find the beautiful small opera house, Teatro Vittorio Emanuele (1861) with 330 seats. Cavalleria rusticana (Pietro Mascagni), it has often been performed in a so-called Cav/Pag double-bill with Pagliacci by Ruggero Leoncavallo. 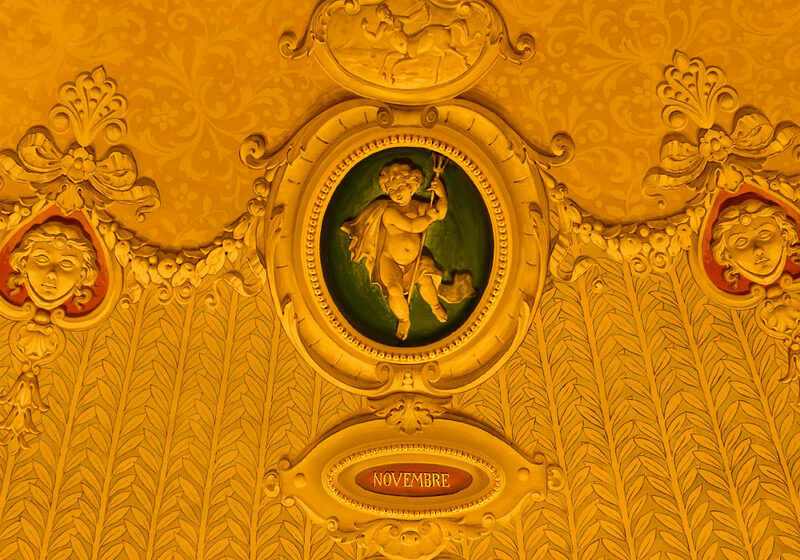 Béatrice et Bénédict (Hector Berlioz). Based on Shakespeare's Much Ado About Nothing. 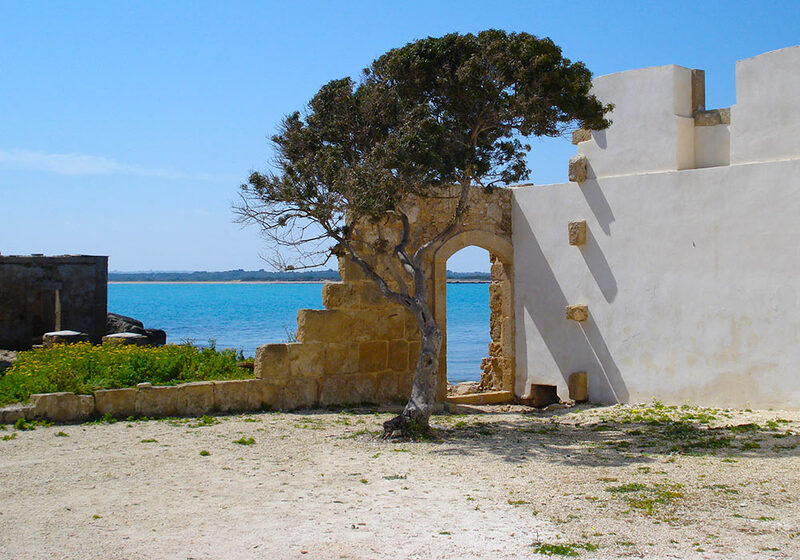 Protected since 1984, the nature reserve called Oasi Faunistica di Vendicari is a wetland of great interest for its wildlife. 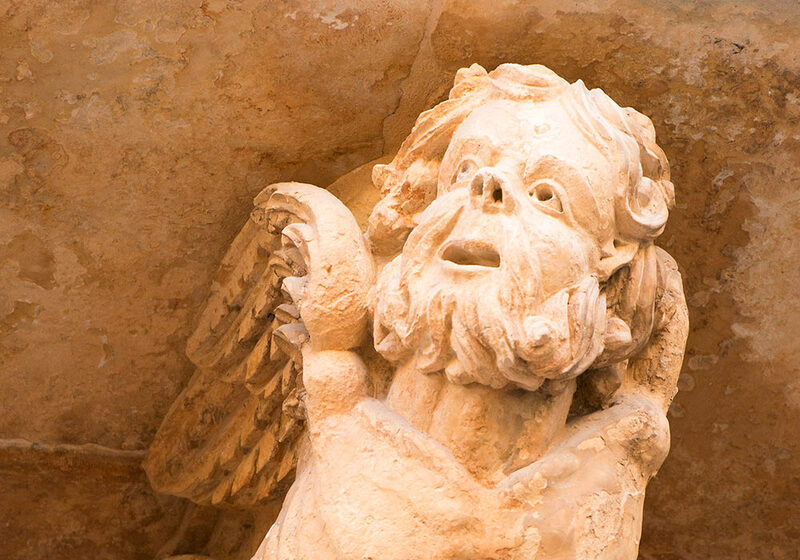 The Roman villa was discovered in 1971. 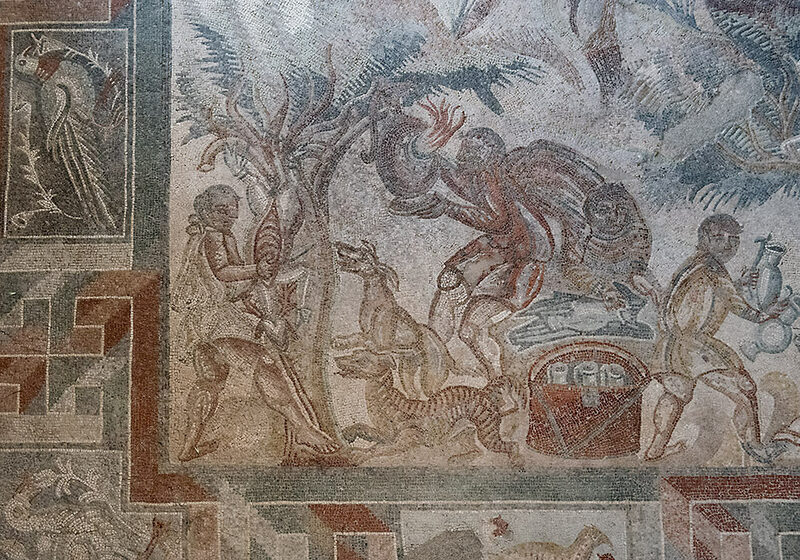 The mosaics were probably the work of craftsmen from North Africa. Based on numismatic evidence, they were made in the second half of the fourth century CE. In 2008 it was inaugurated and made accessible to the public. 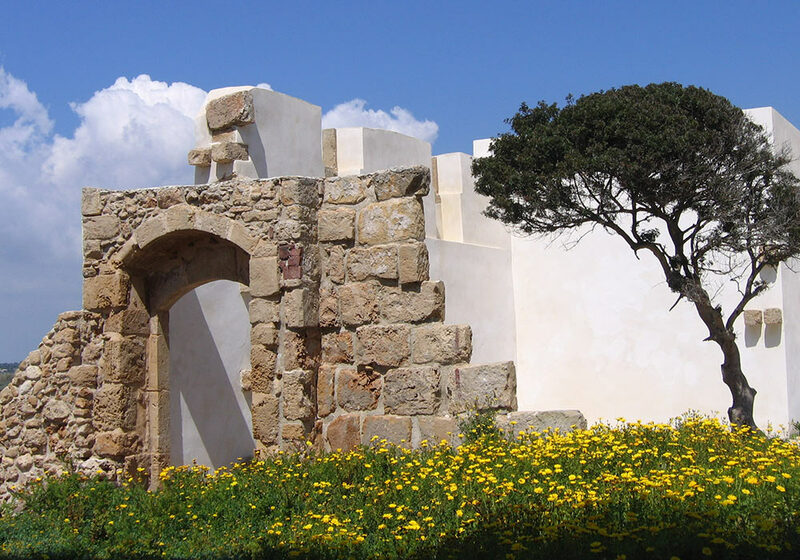 For a better preserved villa, see Villa Romana del Casale near Piazza Armerina. 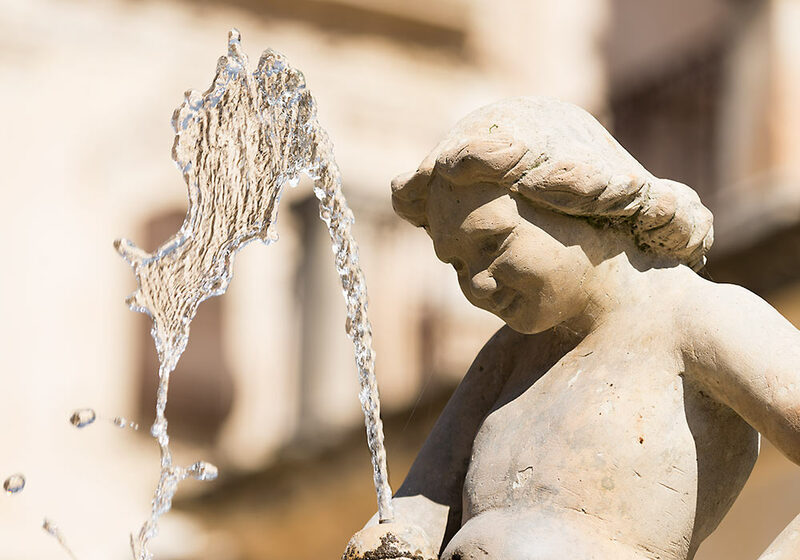 Detail of the charming small fountain near Porta Reale. A child is sitting on a seal like creature squirting water out of its mouth. 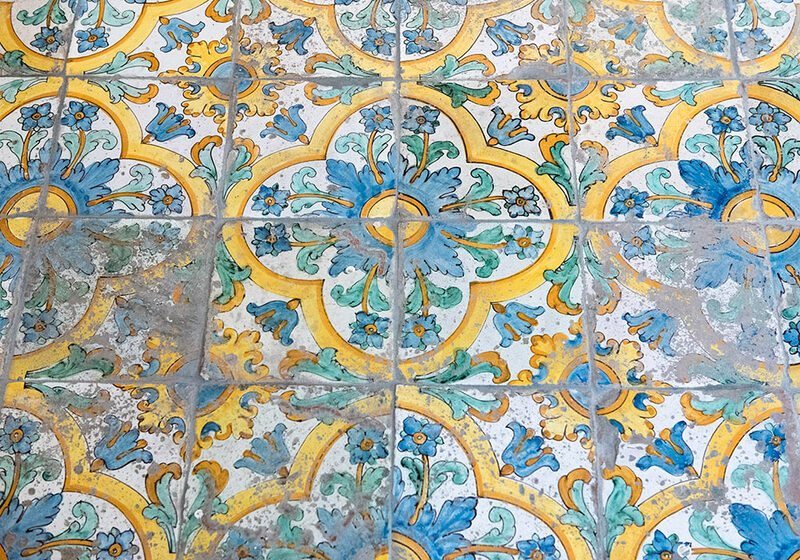 18th-century floor of majolica tiles (from Caltagirone) in the deconsecrated church of Montevergine, Noto. 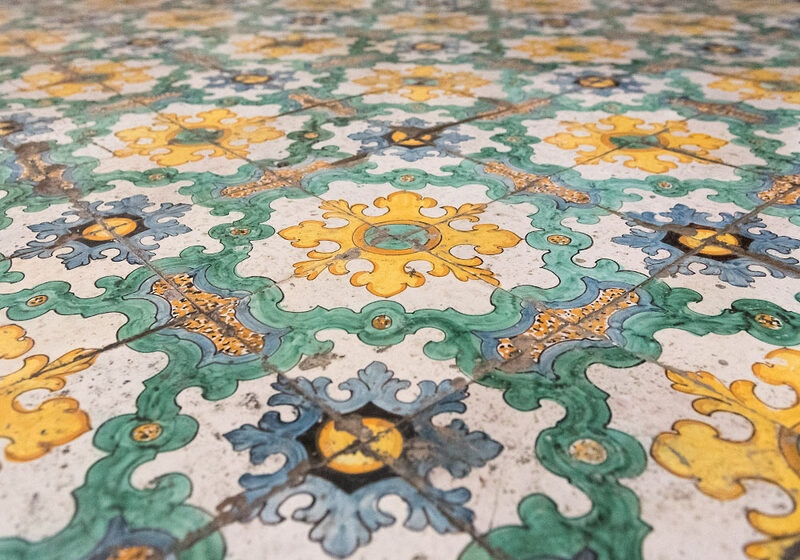 Floor of majolica tiles (from Caltagirone) in the church of Santa Chiara, Noto. Santa Chiara has an oval interior by Gagliardi (1730–48).